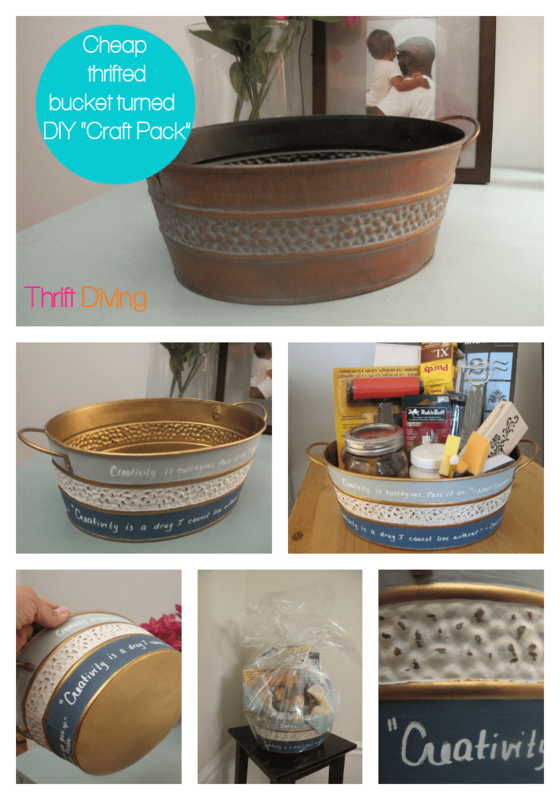 How to Make a DIY Craft Gift Basket For Your Crafty Friends! 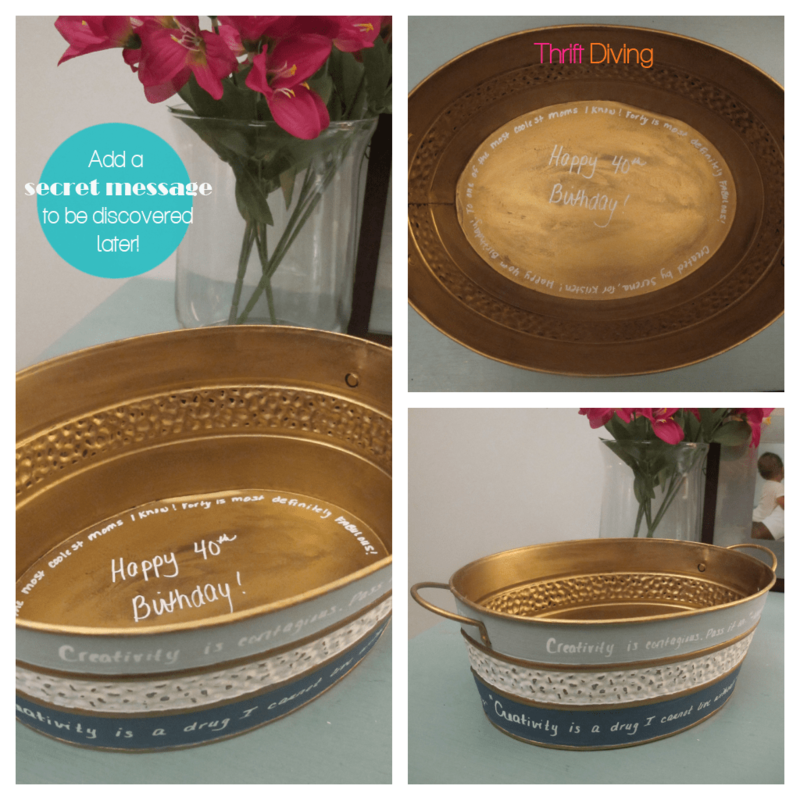 One of my good friends was celebrating her 40th birthday and I wanted to give her something homemade and special, so I made her this DIY craft gift basket. If you’re like me, you hate spending money on pointless, expensive gifts. 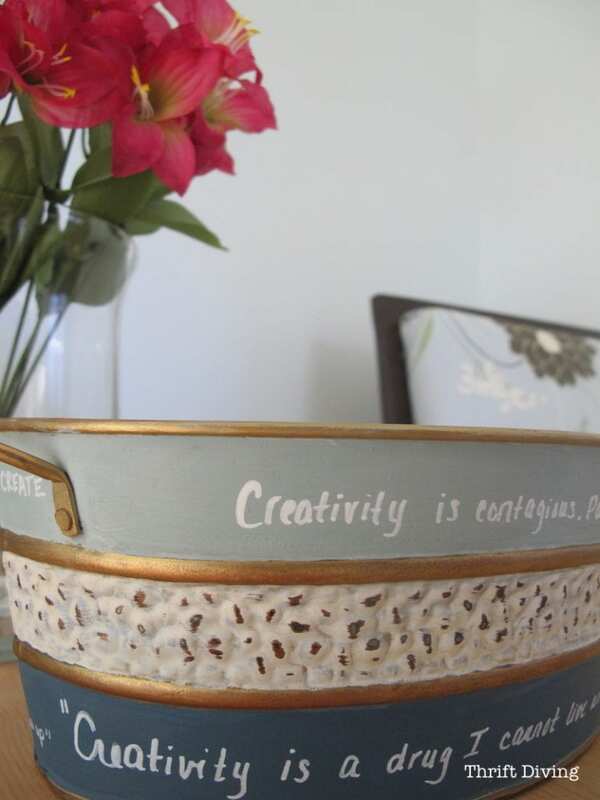 I love the idea of making a crafting gift basket because she’s crafty. 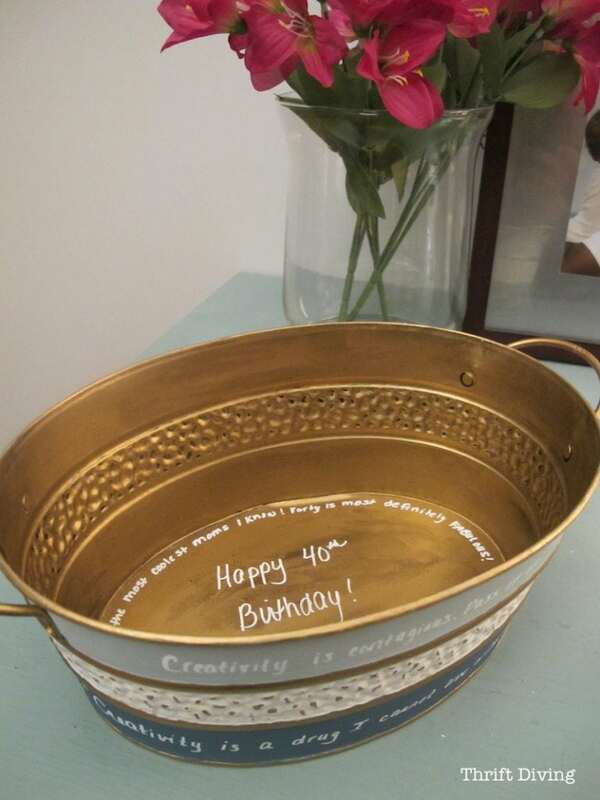 I transformed this old, ugly (but potentially cute bucket) from the thrift store into a fun craft basket for my friend who turned 40 years old! I stuffed it full of my favorite crafting supplies, then shipped it off to arrive before her birthday. 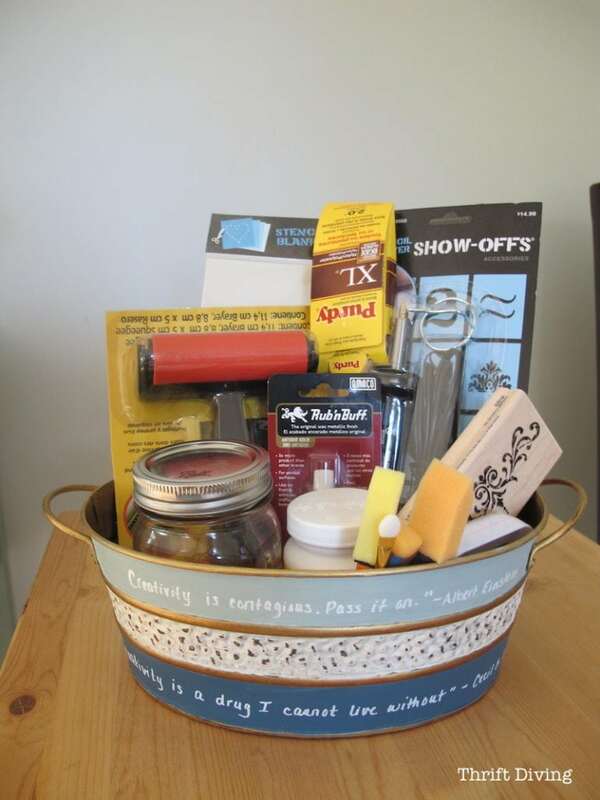 Your crafty friends and family will enjoy this crafting gift basket like this, too! Keep reading to find out how to make it. 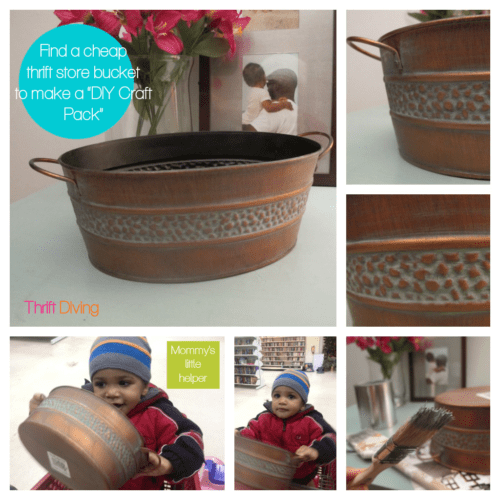 So I hit up the thrift store (surprise, surprise) and found this cute, but a bit too dingy “vintage-y” bucket for $1.90. 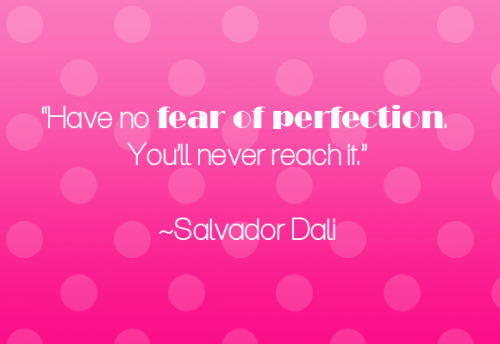 But it was perfect! I wanted something that would look fabulous with paint. And it was just the right size for all the crafting supplies that I wanted to stuff inside! I added a secret message at the bottom so she’d see it once all her goodies were gone! I love this!! You can also make some of these great DIY gift ideas you can make today for your gift basket. 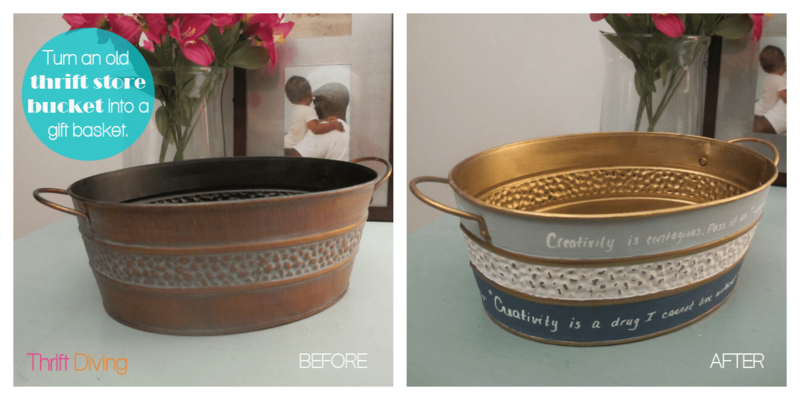 Here’s the BEFORE and AFTER of the bucket, painted with Annie Sloan chalk paint, with hand-written “CREATIVITY” quotes for inspiration! 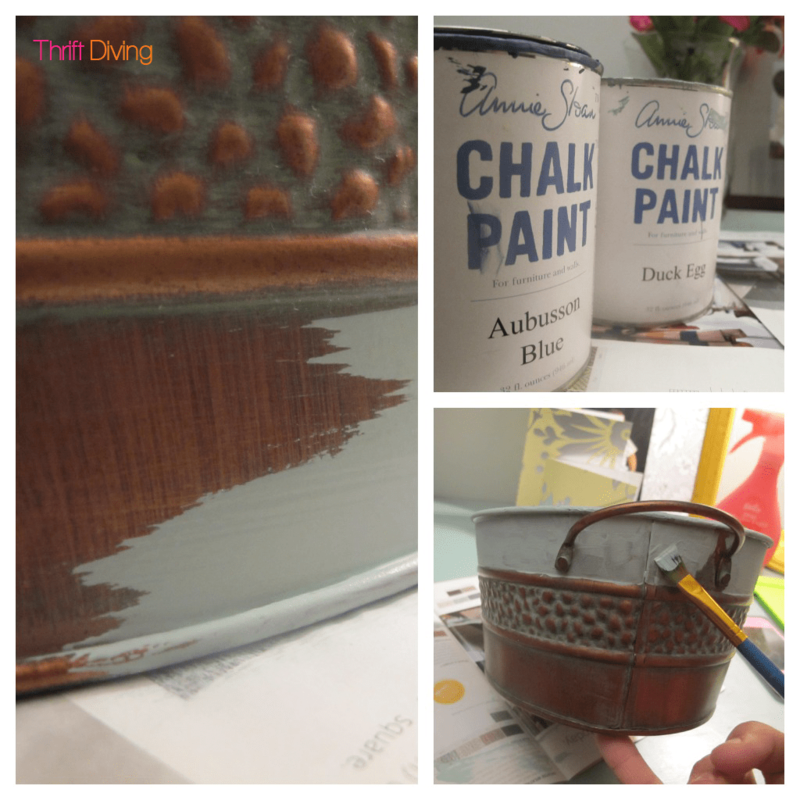 I used Annie Sloan chalk paint Aubusson Blue, which I absolutely love because of the rich color. I painted a $5.00 thrift store kid’s desk in this Aubusson Blue and fell in love with it. I also used Duck Egg for this DIY craft gift basket project, which is the same color I used for the ombre “Dumpster Desk” that I found next to a dumpster. These are two of my favorite colors and they look great together!! I have to point out brushes: USE QUALITY BRUSHES!! I tried using this scraggly-looking brush here on the left because it was smaller and I thought it would be helpful in this project. WRONG. The bristles were horrible and uneven. So I whipped out my Purdy paint brushes , although it was large. Those are the BEST!!! Highly recommended. I also used the Rub n Buff on the inside. Didn’t like the black….. Then I taped off the raised edges to rub those…. I also made sure to finish off the bottom of the bucket. Can you imagine the embarrassment if someone turns over a painted item and it’s crappy underneath?! Oh, the HORROR! The Rub n’ Buff turned out great, and I love how the boring black and dingy inside and handles are now sparkling! I also made sure to wax it with a soft cloth (again, a baby receiving blanket! LOL). Can you tell the difference in the waxed area versus non-waxed? Did you notice the writing on the basket? 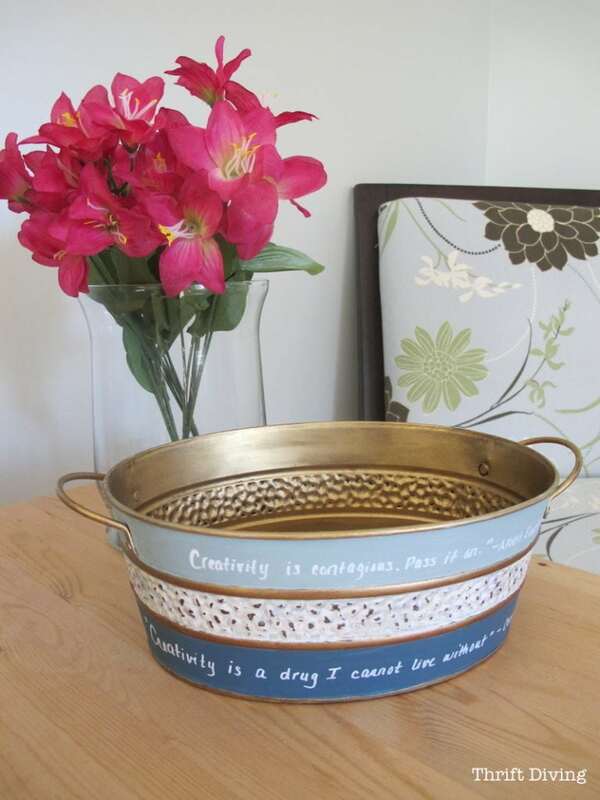 I wanted this DIY crafting gift basket to be “CREATIVITY” themed, so I found some awesome quotes on creativity, and hand-wrote those with cool chalk ink markers . 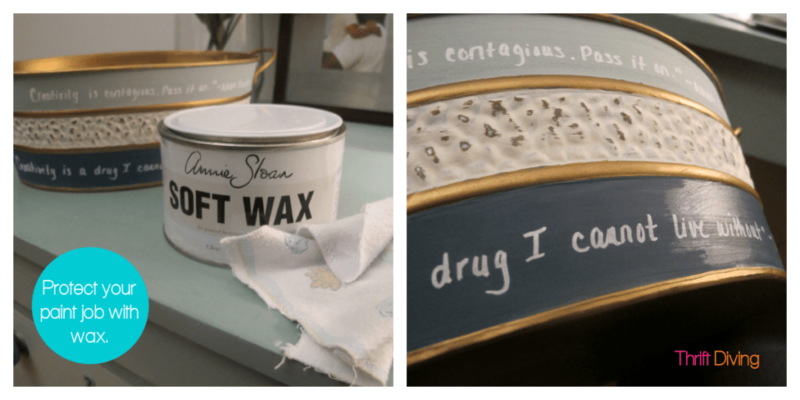 Those markers work on regular chalkboard paint as well as Annie Sloan chalk paint, which I didn’t realize until this project! 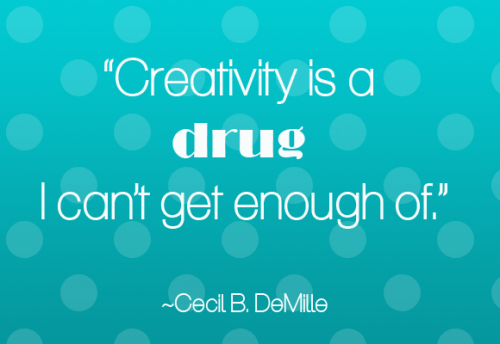 Here are the some of the best creativity quotes. You can even use these for making inexpensive DIY wall art, too! Here are some of the most popular craft supplies. Be creative and include what you want, but here are my favorites! 1. 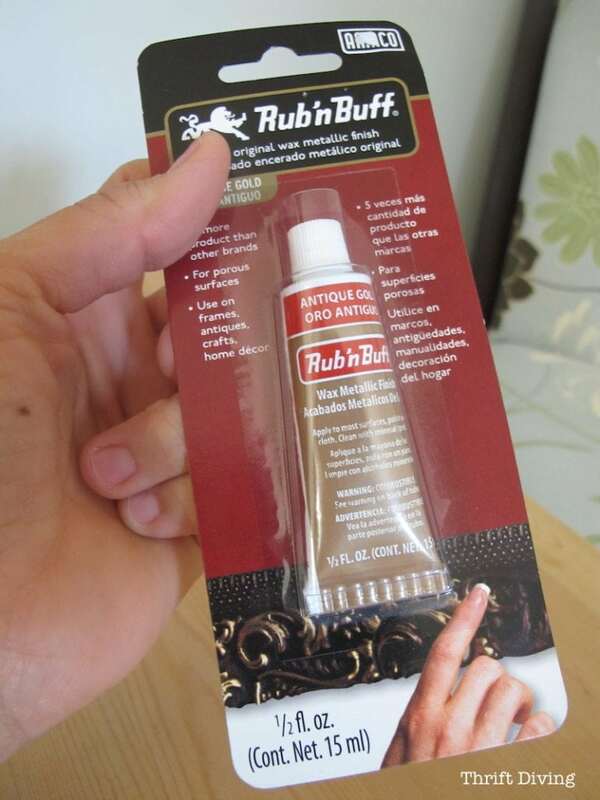 I think I’ve said already how much I love Rub n’ Buff . ‘Nuff said, right? You should definitely include it in your diy craft gift basket. 2. Mod Podge is the greatest invention since sliced bread! I mod podged a bookshelf using scrapbooking paper and it’s amazing how easy it was. 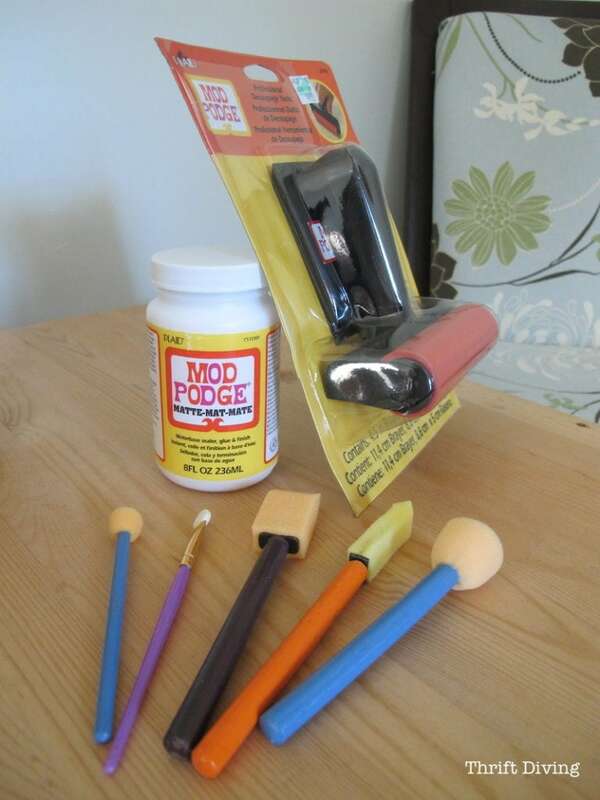 Check out Mod Podge Rocks for a whole bunch of crafting ideas you can do with Mod Podge. I also include a brayer . If you’re going to give Mod Podge, be sure to include a brayer to smooth out the bubbles of what they’ll be gluing down. 3. I absolutely adore wood stamps and ink pads ! I think they’re a lot of fun when making homemade greeting cards, and I’ve used them on some of my furniture make-overs, too. 4. Now THIS is something I would love to try: a stencil cutter! 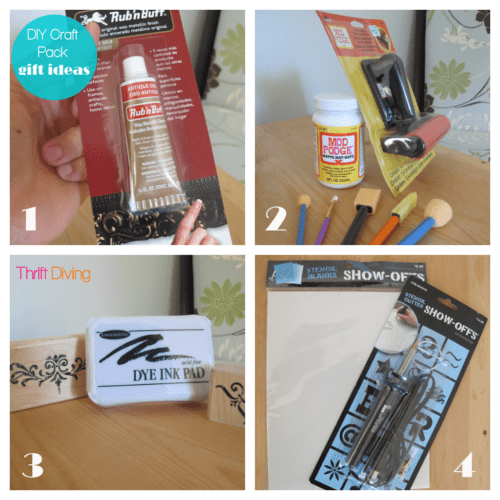 Who wouldn’t love to create their own stencils? There are even DIY versions of ways to make your own stencils at home, using Exacto knives and slide projector sheets. But I wanted to include this in my friend’s DIY craft gift basket. Be sure to pick up the blank stencil sheets. 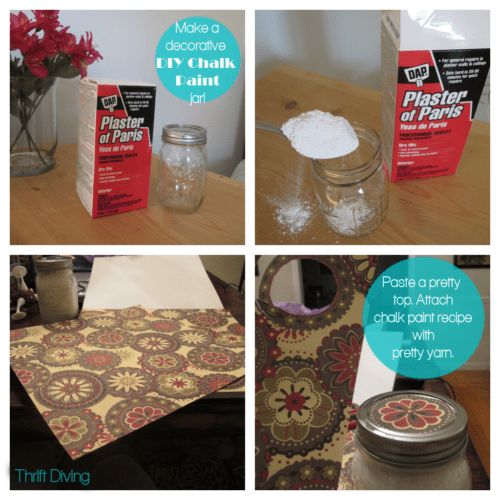 Some other things I included in the craft gift basket was a jar of plaster of paris , and pasted a decorate top (using scrapbooking paper glued on), and I attached a pretty, decorative paper cut-out recipe for how to make your own chalk paint. Unfortunately, I forgot to get a picture of the finished “DIY chalk paint” set after attaching the cute recipe! Oh, well……. 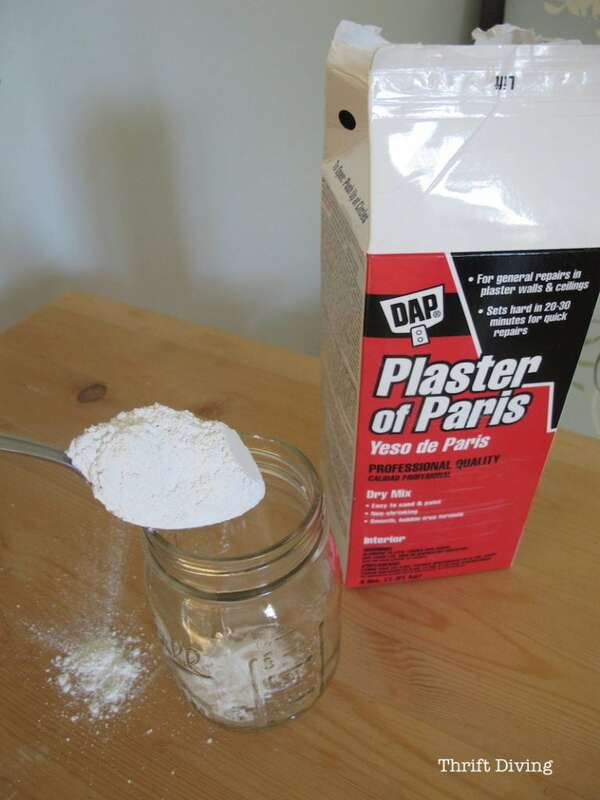 (GIFT TIP: If your gift-ee lives locally, consider including in your DIY craft gift basket a quart, or sample, of your favorite paint, along with the pretty jar of plaster of paris. Babysitting “Crafting” coupons so your friend can have a few uninterrupted hours to be creative! 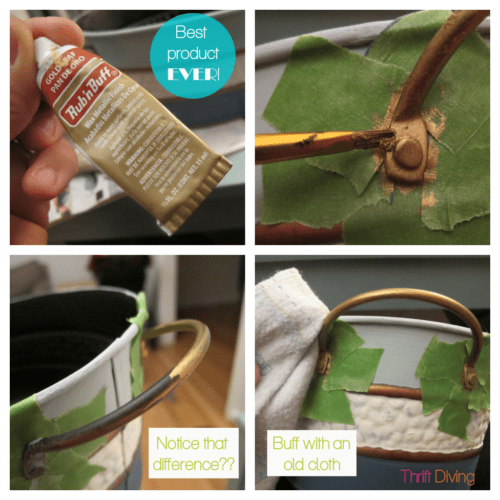 So do you like the idea of making a DIY craft gift basket, too? 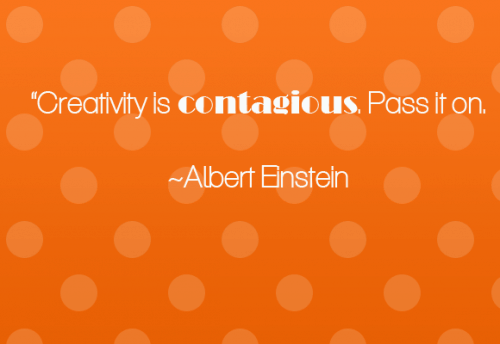 Leave a comment below and inspire us with your ideas! « BEFORE & AFTER: Look What I Found Next to the Dumpster! LOVE it!! And how on earth did you write so neatly inside on the bottom?? Love this!!! Great idea. I have trouble doing large areas using RubnBuff. Do you apply with a small brush or with a finger? I always used a finger and made such a mess. Loved the wrapping for your gift too. What a wonderful gift!! !